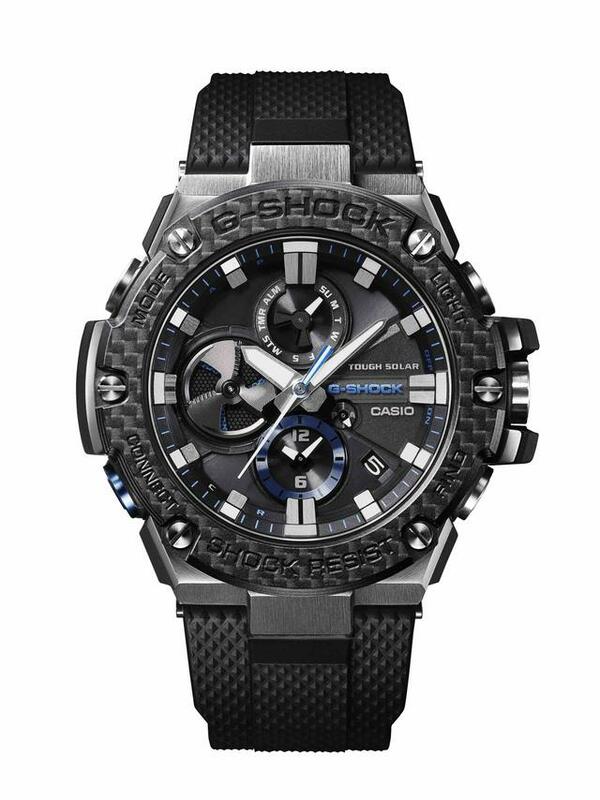 (Sponsored post) For the first time, G-SHOCK has placed an ultra-strong layered carbon bezel on one of its premium G-STEEL watches. 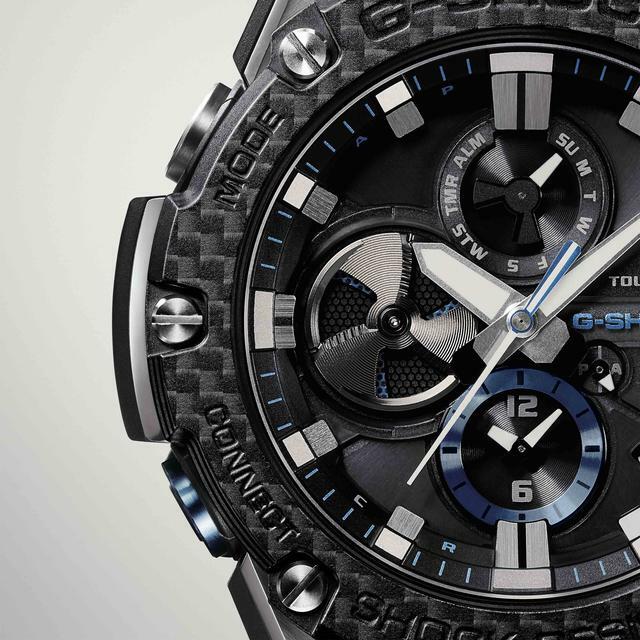 The G-STEEL GSTB100XA-1A connected watch is built with a bezel that combines high-tech Torayca® and Nanoalloy®, two materials that give the bezel outstanding shock resistance characteristics. How tough is this bezel? Consider that these same materials are also used to shock-proof applications on automobiles, airplanes, wind power generators, bicycles, golf club shafts and even fishing rods. 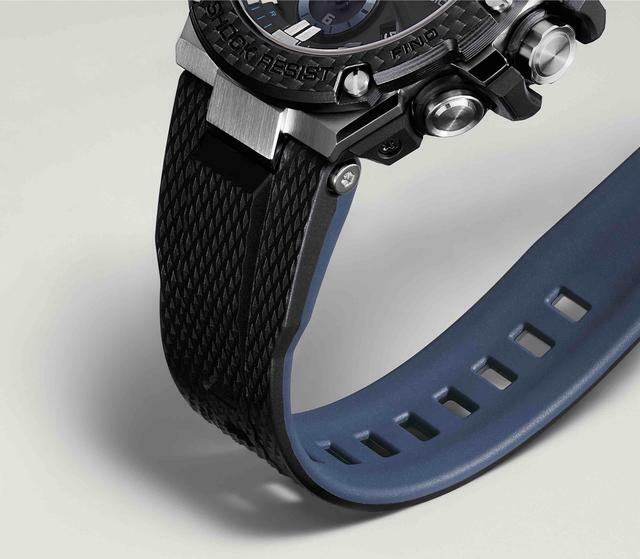 The handsome watch retains the bezel’s dark carbon hue on its dial, which also offers just a touch of metallic blue accent. That same blue can be seen on the inner side of the hefty urethane band, which was produced using a bi-color molding process that makes it possible to decorate the outer surface with a sporty pattern and blue urethane for the inner surface. 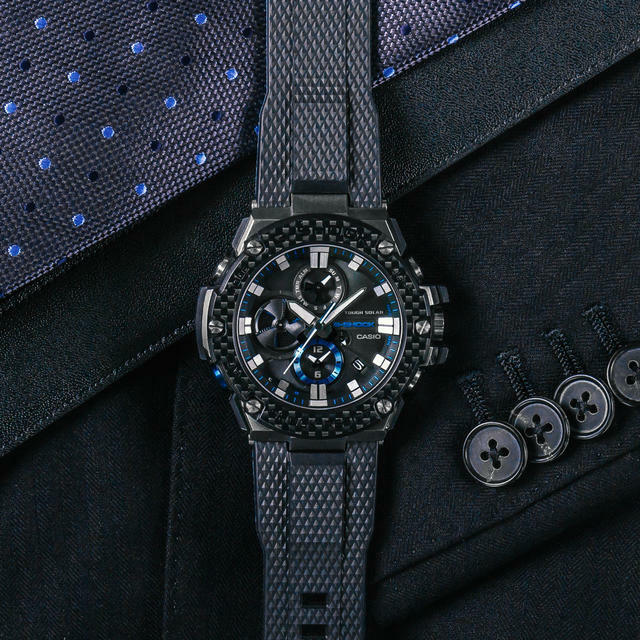 The G-STEEL GSTB100XA-1A is equally tough inside, with a Bluetooth connection function that allows it to link with a smartphone via the G-SHOCK Connected app and receive time information from an internet timeserver. The functions include Tough Solar in combination with G-SHOCK original power saving technology for a stable supply of power, high brightness LED light illumination, and dual dial World Time. Once linked, the watch offers myriad additional functions, including access to world times in 300 cities, an alarm, a countdown timer, hand alignment correction, home city time swapping, phone finder and many more. 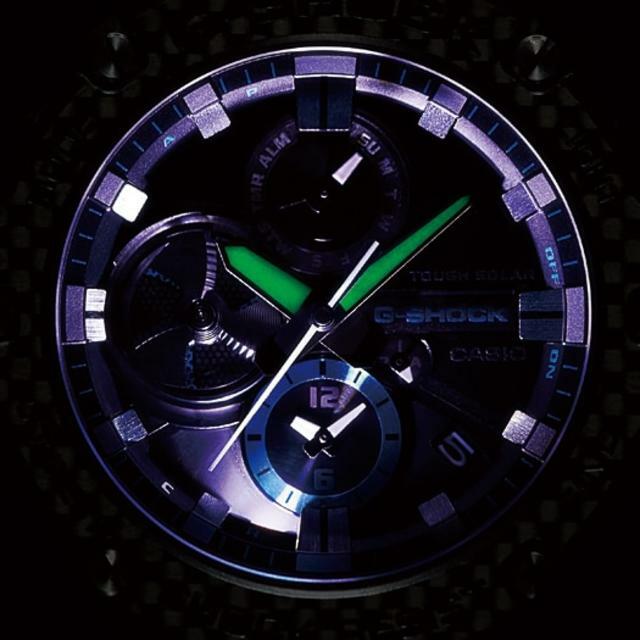 Even without a link, the GSTB100XA-1A includes a full lineup of G-SHOCK standard features, including a battery level indicator, and a high-brightness LED light—all under a shock resistant sapphire crystal. 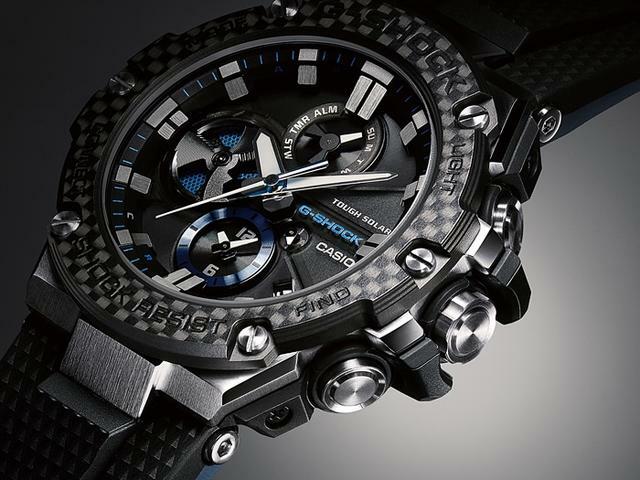 The GSTB100XA-1A is priced at $600 at gshock.com, select jewelers, select Macy's, and the G-SHOCK Soho Store.